Newswise, January 27, 2016 — Documenting that it’s never too late to quit smoking, a large study of breast cancer survivors has found that those who quit smoking after their diagnosis had a 33 percent lower risk of death as a result of breast cancer than those who continued to smoke. 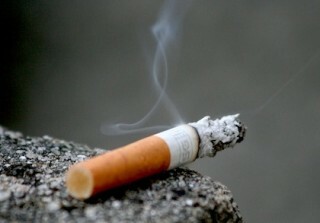 “Our study shows the consequences facing both active and former smokers with a history of breast cancer,” said first author Michael Passarelli, PhD, a cancer epidemiologist at the UCSF School of Medicine. • Women who continued to smoke after diagnosis. “Smoking cessation programs should be considered part of cancer therapy,” Passarelli said. About UCSF: UC San Francisco (UCSF) is a leading university dedicated to promoting health worldwide through advanced biomedical research, graduate-level education in the life sciences and health professions, and excellence in patient care. It includes top-ranked graduate schools of dentistry, medicine, nursing and pharmacy; a graduate division with nationally renowned programs in basic, biomedical, translational and population sciences; and a preeminent biomedical research enterprise. It also includes UCSF Health, which comprises top-ranked hospitals, UCSF Medical Center and UCSF Benioff Children’s Hospitals in San Francisco and Oakland – and other partner and affiliated hospitals and healthcare providers throughout the Bay Area. Please visit www.ucsf.edu/news.